Check out our Resources for Journalists here. There are many important and fascinating stories to be told in Rio today. Many involve the city’s favelas. Yet community voices remain underrepresented in the media. This is partly due to reporters’ difficulty in reaching and communicating with residents. It is also due to the diversity, complexity and at times contradictions that make favelas difficult places to cover. The result: stereotypes of crime and poverty often become the easy lens through which to report them. But this is to miss the real story and misrepresent the vast majority of residents of these dynamic, vibrant communities. It is also to do Rio’s favelas a huge disservice. Catalytic Communities works to support local and international journalists to produce accurate, nuanced and informed reporting on Rio’s favelas. With over 15 years experience working closely with thousands of community residents and leaders in hundreds of favelas across the city, we are able to provide contextual information on the political, social, economic and cultural landscape of Rio and its favelas, and connect reporters with more specific information on their community or communities of interest. Our community news site RioOnWatch is designed to be a resource for journalists looking to cover Rio’s favelas, with topics, themes and communities all tagged and interlinked for easy navigation. Since the Olympic media spotlight this year offers an unprecedented opportunity to straighten out the narrative on these neighborhoods once and for all, we launched a compilation of Resources for Journalists earlier this year. This is a collection of essential materials about Rio’s favelas and the city’s pre-Olympic transformations, organized to support informed and nuanced reporting through the Games. The resources include contact information for favela leaders who want to tell their stories to international press as well as favela-focused story ideas and background information on policies. Journalists are also welcome to reach out to us directly. Following an initial discussion to identify story needs, we can provide community contacts and facilitate favela visits. 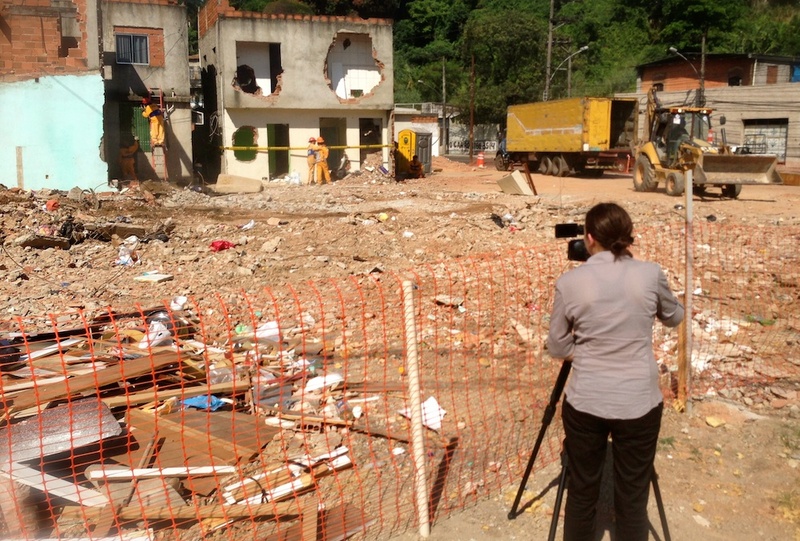 Our Executive Director Theresa Williamson, urban planner and advocate on behalf of favelas and community development in Rio, is also available for interviews where a broader perspective on favelas is desired. For further information or to arrange a meeting, please send details about your intended story, medium, deadline and any specific requests by email to press@catcomm.org.